The coffee has been carefully pre-brewed and naturally processed by a unique method that allows the fresh brewed flavor to be retained. Also, the healthy rejuvenating qualities of the water-soluble Ganoderma are kept intact and Ganoderma effectively neutralizes the acidity in the coffee. So, we like to call it Ready Brew instead of Instant. But you do just take a packet of it, and add hot water to have an incredible cup of coffee! How much Caffeine is in GanoCafe? GanoCafe uses a Brazilian Arabica coffee that is fair trade, and pesticide free and low in caffeine compared to other coffees. •	According to Wikipedia, the Arabica bean contains approximately 12 mg of caffeine per gram of dry mass. 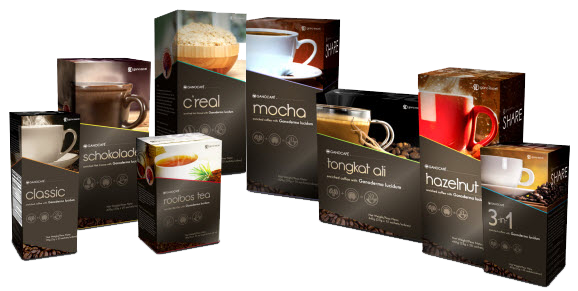 •	When you use a packet or sachet of GanoCafe, you are getting 3 grams of dry mass (and some of that is the ganoderma). So, the amount of caffeine is likely in the range of 24-36 mg.
•	As a comparison most coffee has 135-170 mg of caffeine per cup, and I've heard Starbucks is higher. •	Decaf usually has 30-40 mg of caffeine (plus the chemicals used in the decaf process). •	In addition, I’ve read that the Ganoderma extract counteracts the effects of caffeine (one reason is that caffeine is a nervous system stimulant, and Gano is a nervous system tonic) – and another major benefit is that it also brings the acidity level down to almost a neutral ph (most coffee has pH of 5.5, and Gano Café has a neutral ph of 7.3-7.5). What I love about our coffee is people still feel the energy they want from coffee - but they're getting it from the Ganoderma, not the coffee - and that's why they feel the energy, but not the spike and drop later. Ganoderma and the Brazilian coffee beans undergoes an all natural steam process to remove most of the natural irritants formed during coffee roasting, which can lead to heartburn, indigestion and stomach upset. While this process removes irritants, it leaves the coffee aroma, flavor and caffeine completely intact. Is GanoCafe an acidic coffee? Ganocafe is the first kind of low acidic coffee to revitalize pH while building your natural stomach flora," because it is enriched with the amazing Gano mushroom, which is used to promote a healthy alkaline or pH balance. Different people have tested it, and found that it brings the acidity level down to almost a neutral ph (most coffee has pH of 5.5, and Gano Café has a neutral ph of 7.3-7.5). If you have other questions, please add them to the comments, and we’ll get them answered and posted as quickly as we can! 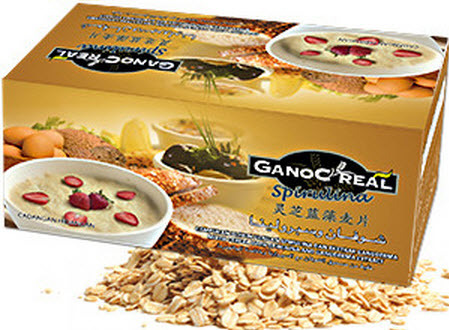 If you’re ready to get started with some delicious Gano Cafe, click here. To great coffee and great health! my wife is nursing our 9 month old son. she would sure like a cup of coffee! I love the 3 in 1. Do you have any information on reishis effect on breast milk? Hi Steve – thanks for the question. Unfortunately, studies have not been very conclusive about the reishi mushroom side effects during pregnancy or breast feeding. Reishi mushrooms have so many benefits, and have been shown to boost the immune system, fight heart disease, and even calm stress and nerves, among other things. However, when first being taken, one of the thing that can happen, is a “detox” reaction, where accumulated toxins in the body are being excreted or “pushed out.” I think that’s one of the reasons there have not been conclusive studies about taking the reishi mushroom during breast feeding. I hope this helps! how many cups of the 3&1 should i be drinking everyday? From 1-3, depending on what your body seems to be craving. 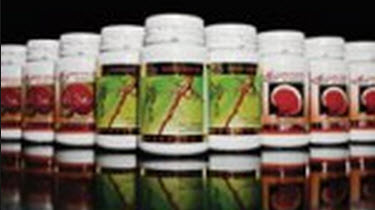 You may notice over time that your body craves less, as the studies on ganoderma indicate it can help people absorb nutrients. Do you carry your gano coffee in pods for k-cup brewers? Hi Arlen – thanks for asking. Not yet – but there are plans to have our gano coffee in pods for k-cup brewers. In the meantime, however, you can just add our Gano Coffee to hot water and have the delicious, fresh-brewed taste of a great coffee with the nutrition benefits of Ganoderma in it. Is the GanoCafe 3 in 1Gluten Free? I love this drink but have been recently diagnosed with Celiac Disease. Hoping it’s still safe for me to drink. I have been diagnosed with Hiatus Hernia in May 2017, and recently with Osteoporosis. I’m doing much better with both. Is it ok to drink the Ganocafe Classic? Hi – unfortunately we can’t provide medical guidance. You may want to check with your doctor or a holistic practitioner. Hi there. I am very brand new ganocafe drinker. My mom gave me a sample from her box to try. I have been reading that there are two types of ganocafe? One is for healthy and energy and the other does the same but it sounds like its more for men, its called ganocafe ginseng tongkat ali. It increase their testosterone, and libido. My question which one is best for women? Thank you.